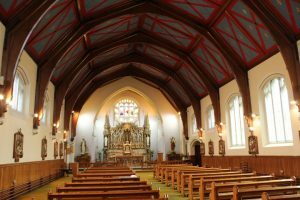 We are very proud of our Chapel here at Nazareth House Crosby, and we welcome residents, visitors and the general public to come celebrate mass with us. For those residents that cannot attend mass, communion will still be administered to them in their room! Whether it is celebrating Easter Sunday or singing carols at Christmas, our Chapel is a welcoming and beautiful place to celebrate mass in!